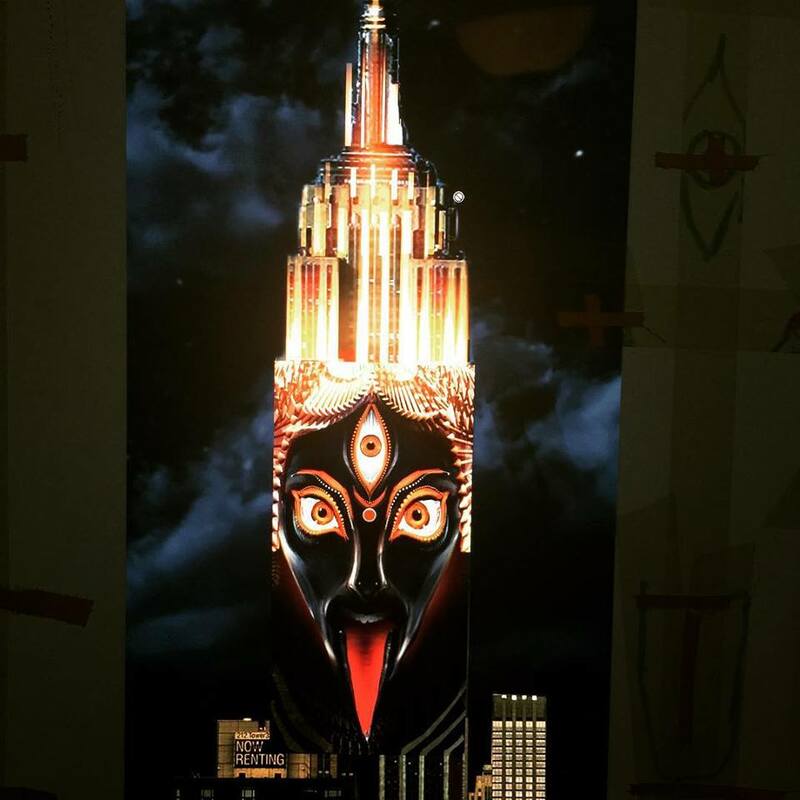 It was certainly no random decision to light up the Empire State building with the face of Kali; a powerful and ruthless demon goddess of Hinduism. I will show the reader that the face of Kali just weeks after the heartbreaking videos of Planned Parenthood, is a mockery by the devil in the faces of the people of America. And the timing was no coincidence. “For we wrestle not against flesh and blood, but against principalities, against powers, against the rulers of the darkness of this world, against spiritual wickedness in high places” (Ephesians 6:12). I know that we have read that passage of Scripture many times, but we need to understand that this is truth, just like everything else in the Word of God. It was important enough for God to place this in His Word as a warning to us. The blatant evil all around us is perpetuated by Satan and his demons. Are people being used by the devil? Of course! Just as we are vessels for our God to use us to be Salt and Light in this dark world, those who follow Satan are accessible to him to carry out his evil plans. He knows his time is short. Haven’t you wondered why evil has become so commonplace now? When I was a child, no one would have believed the things happening today. As Americans watched the alarming and heartbreaking videos of Planned Parenthood doctors laughing and discussing the body parts of aborted babies as line items, we were shocked and sickened. Many of us could not watch. It was just too much evil — unthinkable evil. Yet, this is what many Americans fight for and march for; and it seems that they would lay down their own lives to keep shedding the blood of innocent children. It has gone beyond the woman’s right to choose. That is smoke and mirrors. It’s about murder and blood, and it is demonic to its core. They actually enjoy it. It is sport to them. For those of us who belong to the Lord, it is almost impossible for us to wrap our heads around this kind of evil. We are in times like those of the time of Noah. I researched this demon goddess. All I knew was that her face was horrifying. But what I was about to find out was astounding. It made perfect sense that the evil one would mock us in this manner right after the images of the body parts of aborted babies had surfaced. “Kali is the Goddess of Destruction and Dissolution in Hinduism, and she is one of the most popular goddesses in India. Kali is known for destroying ignorance, and she helps those who strive for knowledge of God. Her name means “The Black One” and the city of Calcutta is named in her honor. One must wonder why anyone would feel the need to display such a grotesque image on a landmark of NYC. Can you see how Satan glories in murder – especially of the innocents? The face of this demon Kali, has a belt of severed heads. These are her trophies, much like Planned Parenthood sees the deceased bodies of aborted babies as their trophies. Kermit Gosnell, an abortionist who is now serving a life sentence, kept the feet of aborted babies in jars. He had no reason to keep them, except to look at them. How incredibly sick. “Drunk on Raktabija’s blood, the Goddess Kali ran across the cosmos killing anyone who dared cross her path. She adorned herself with the heads, limbs and entrails of her victims.” Does this not describe the pro death camp and especially the abortionists? This truth is profound, and shows us that the devil has been at work to corrupt the earth and all who dwell in it, since he was cast from heaven. He is a deceiver, a liar and father of lies, and the author of confusion. He draws those in who are looking for power. He promises them power and deceives them. It’s what he does, and will continue to do until he is cast into the lake of fire, along with his fallen angels – the demons. So now we understand that the image of the grotesque face of Kali – projected on our Empire State Building, is a message from Satan. I believe that he thinks he is winning. He is just that arrogant to think that he will be victorious over the Creator of the Universe – our Father in heaven. Sadly, I believe that he has been victorious over America. His hatred for us transcends the hatred for all other countries, except for Israel. Our Constitution is based upon Judeo-Christian principles, and is filled with the name of God, and how we rely upon Him. Satan loathes this. And for many years, we supported Israel, until we voted in this demon possessed man, who has all but destroyed this nation. His desire is to see Israel wiped off the map. He will never see this. God will not allow it.